On June 13 a Conference on Religious Freedom was held at the Embassy of the United States to the Holy See. His Beatitude Sviatoslav Shevchuk, Head and Father of the Ukrainian Greek Catholic Church, was the main speaker. The meeting was held at the initiative of Callista Gingrich, Ambassador of the United States to the Holy See. In her welcoming address, Ambassador Gingrich assured the “full” support of the United States to Ukraine, in the struggle against Russian aggression. “On account of historical events and of the people’s choice, Ukraine is part of Europe and of the West. We continue to support the territorial integrity of Ukraine and its efforts in building a stable, democratic, advanced and free country,” said the US diplomat. “The fall of the Soviet Union caused a wave of religious rebirth in Ukraine. Very often it was a painful process of building inter-religious relations, but today we rejoice over the fact that religious peace is one of the greatest values of free and democratic Ukraine,” continued His Beatitude. Speaking to diplomats abut the role of the Churches in current processes of State formation, the Head of the Ukrainian Greek Catholic Church confirmed that the principle of “separation, but not of isolation, between the State and the Church, is observed. Quoting statistical data, which talks of the trust of Ukrainian citizens in relations with the Church, His Beatitude Sviatoslav stressed, in particular, the role of the Church in building Ukrainian civil society. “During the Revolution of Dignity, in Majdan Square, there were Ukrainians, Russians, Poles . . . The war in Ukraine isn’t a conflict between Ukrainians and Russians. It’s a conflict between two development directions: a return to the Soviet Union, which for us is the way to the loss of religious freedom and national identity, or the movement forward towards authentic, developed European democracy: true freedom for all religions and the pledge of the free development of all peoples residents in Ukraine without exception. And we, in as much as Church, defend the plan to build our State on principles of protection and respect of human dignity, of the common good and of solidarity,” emphasized His Beatitude. His Beatitude Sviatoslav then added: “In four years of Russian aggression, the Ukrainian Churches have understood that the maintenance of religious peace in our country is the key to national security. 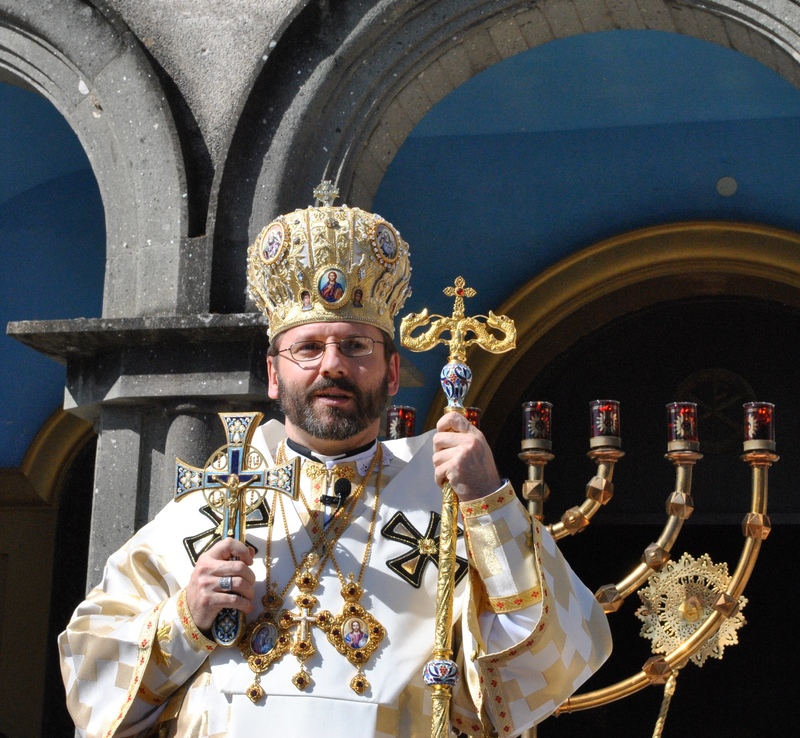 This is why religious freedom is a great value for us,” said His Beatitude Sviatoslav. At the end of his talk, the head of the Ukrainian Greek Catholic Church thanked the representatives of the international community for their support and aid to Ukraine. “We believe the war will end. The important mission of our Church is to prepare persons’ hearts to forgiveness and reconciliation,” he said. The Conference ended with the report of the Ambassador of Ukraine to the Holy see, Tetiana Izhevska. In her address, the Ambassador stressed that Ukraine’s example is unique from the point of view of respect and of religious and ethnic tolerance, and that the Ukrainian State is making every effort to guarantee to citizens the right of freedom of conscience and of religion. In addition, the Ambassador thanked the foreign partners for their constant support in Ukraine’s confrontations. Taking part in the Conference, in addition to the Ambassadors of the Member Countries of the European Union, were the Ambassadors of Canada and Australia, and representatives of some Vatican Dicasteries: Archbishop Silvano Tomasi, Secretary of the Pontifical Council for Integral Human Development and Archbishop Cyril Vasil, Secretary of the Congregation for the Oriental Churches.